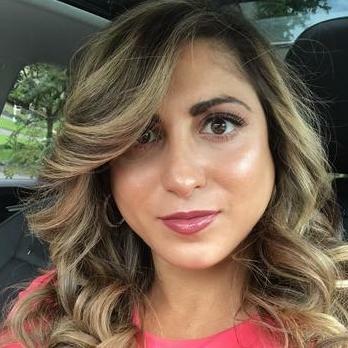 Alessandra L. Cortina, Esq. graduated from New York Law School in the top 10% of her division. Alessandra then clerked for a leading product liability defense firm in New York representing companies ranging from Fortune 500 companies to newly created and well established privately held companies. She has extensive experience and knowledge in litigation, legal research, and trial preparation. Upon passing the New York Bar exam, she began working at a nationwide law firm practicing corporate defense, again representing Fortune 500 companies. She has ample experience in business consulting, real estate transactions, and corporate formations. "Alessandra helped me start my personal training business early 2017. She has been there for me every step of the way. I am not familiar with anything that involves creating or opening a business but Alessandra helped me work with an accountant to figure out which type of entity was right for my business. She helped form the business in New York and she drafted all of the legal documents I needed. We sat down to review all of the documents together and she helped me understand every single word! Sometimes I have a hard time understanding lawyers but Alessandra made it so simple for me. She was available at all times and always says, "that's what I am here for!" She always works with a smile on her face and is very patient since I had so many questions for her. I would recommend Alessandra to any one looking for a young, smart, and EXCELLENT attorney. Janet C.B." Helped me Start my Personal Training Business! "I have been working with Alessandra for over 1 year. She has been instrumental in helping me establish my landscaping business from forming my LLC, drafting all legal documents, partnership agreements, employee contracts including non-compete agreements, and providing expert advise on starting up my business. She is super responsive and takes my calls all hours of the day. I never have to chase her down like other lawyers I have worked with in the past. Alessandra continues to provide assistance with my business needs and provides legal advice for me on an on-going basis. I am currently working with Alessandra on merging my business with another entity. She has made the process much easier and stress free for me. I can definitely count on her! -Luciana C. Haughwout." Solo Practitioner focusing on real estate transactions, defense litigation, corporate formation, and employment law. Associate attorney practicing corporate defense litigation focusing on complex civil litigation and personal injury matters. Law clerk for large corporate defense firm focusing on construction law, workers' compensation, product liability, and personal injury matters. Human Resources analyst focusing on employee relations matters and liaison with employment law.